We’d love your help. Let us know what’s wrong with this preview of Running Out of Time by A.M. Hounchell. 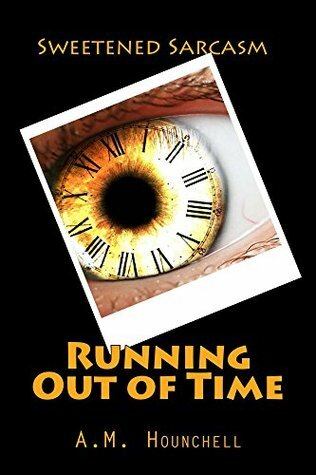 Running Out of Time is an absurdist novel about a man trying to see where he fits in space and time. As his two individual idealisms battle each other, probably to death. He'll meet friends he never wanted, but will always have. Les, a possessed demon teddy bear? Can he Running Out of Time is an absurdist novel about a man trying to see where he fits in space and time. As his two individual idealisms battle each other, probably to death. He'll meet friends he never wanted, but will always have. Can he stop something from happening? Probably, because that is vague. To ask other readers questions about Running Out of Time, please sign up. Really weird and absurd but a great book. Really difficult to describe. The only way to understand is to just read it yourself.